DocM files are MS Word specific that means they cannot be opened by other commercial and freeware text editors. If you really want to be sure the recipient you're sending DocM files to will be able to read what's inside, it's better to convert DocM to RTF files. RTF weights more, but it is readable by all document viewers and editors. This conversion is available in Total Doc Converter. It can turn DocM files into a variety of other types, including: RTF, TXT, DOC, PDF, HTML, TIFF. It is a perfect solution when there are a lot of DocM sources for conversion. Standard Microsoft Word is capable of converting files one-by-one that takes too long. You need to open each file, choose the format for export, settings, etc. With this DocM RTF converter all files are converted as one - just in one batch. You run the process once and get the bunch of RTF copies as the result. 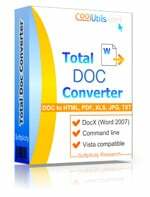 Total Doc Converter works well when you PC cannot recognize DocM format. 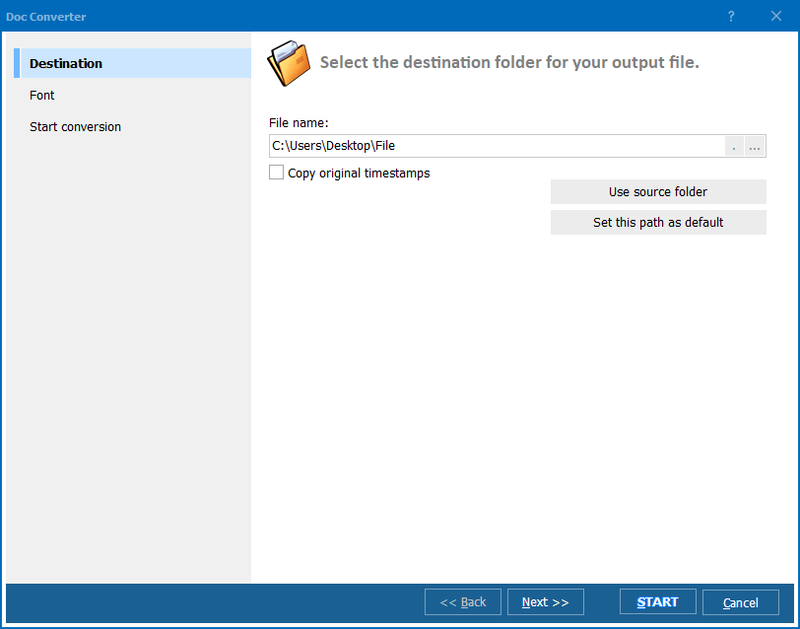 Just run the converter, find source files, pick them up for conversion (all together), select format and start conversion. In the same manner you can convert DocM to PDF or JPEG. If you do not like to play with graphic interface, run conversions from the command line - this option is also supported by Total Doc Converter. 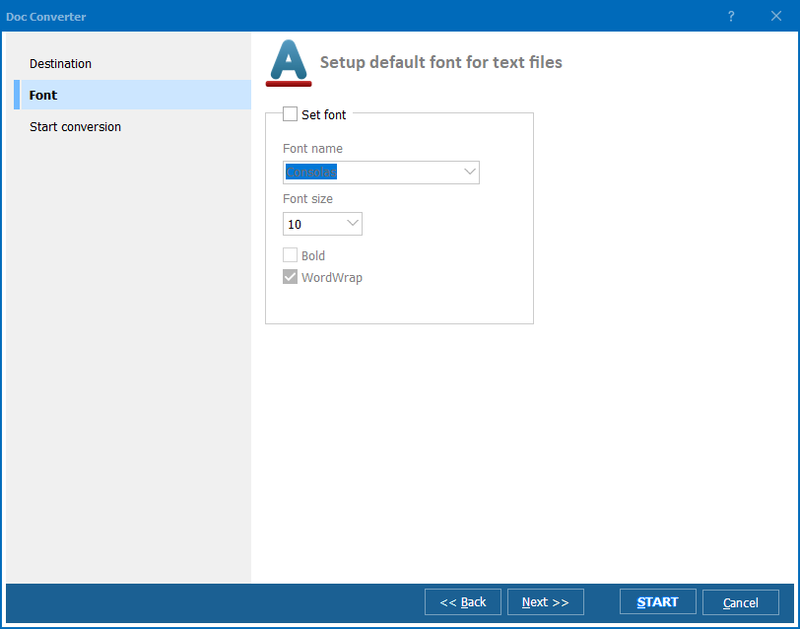 For RTF format you can setup font style - font name and size. When converting documents in batch, the selected settings will be used for all originals. 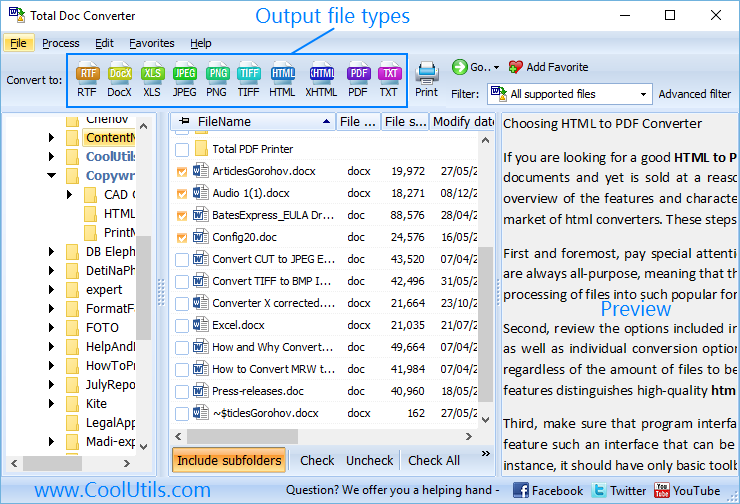 This DocM converter can automatically remove original DocM files after conversion, if appropriate option is selected. To make the further conversions easier you can save all the selected parameters in a bat file. Next time you only need to run this bat file from the command line, not playing with all the settings again. Try it in full 30-day free trial version! Convert TXT to RTF in batches efficiently. Convert RTF to XLS. Save time, it's easy.